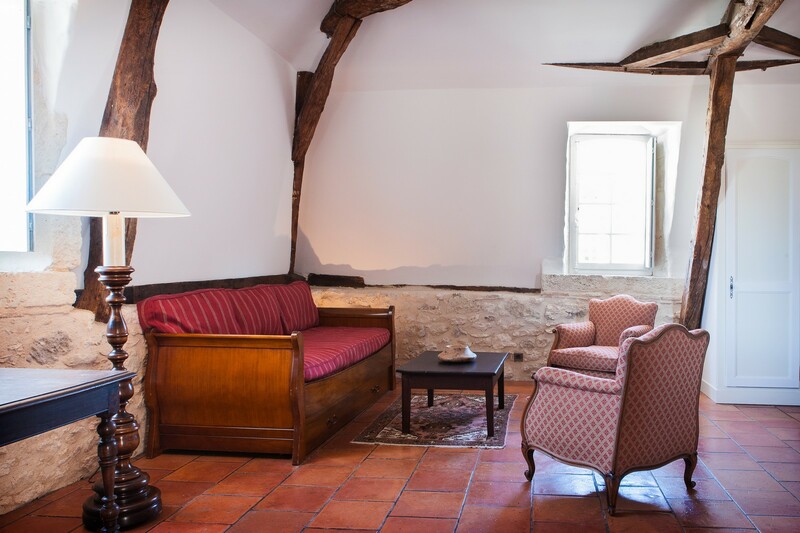 Unique and luxurious, the Prestige Suite is located on the first floor of the XVI Century Château. 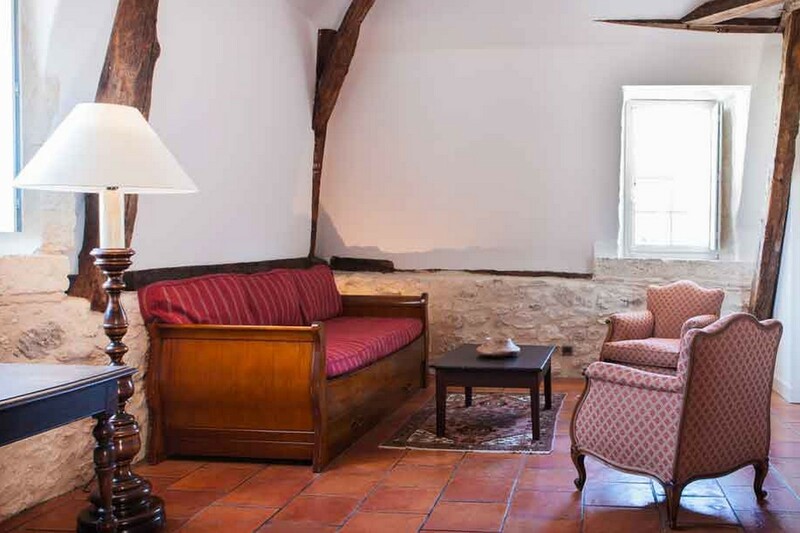 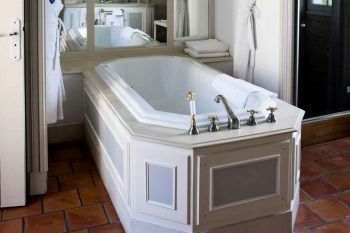 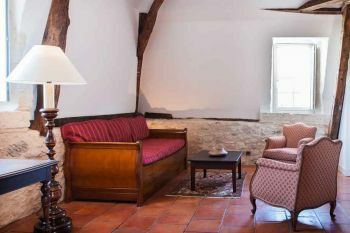 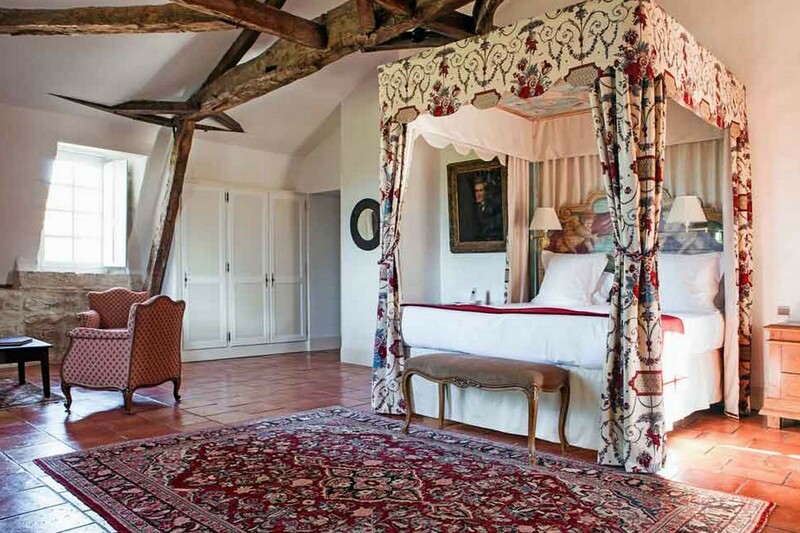 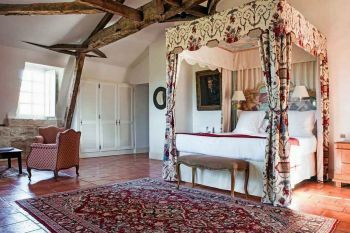 The best room in the Château, (about 70m²), with a magnificent four poster bed, sumptuous decoration, authentic charm of the stone walls and ancient beams, beautiful bathroom with separate bath tub and shower and, a lovely terrace with fantastic views over the parkland golf course and vineyards beyond. 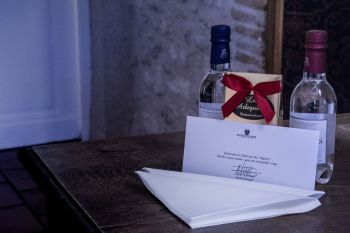 VIP welcome with mineral water and chocolates. Evening turndown service provided every day. 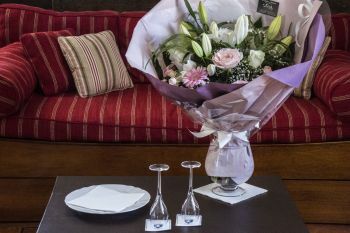 Minibar, Safe, Tea and Coffee making facilities, iPod Station, LCD TV, WIFI and Air-conditioning.